A star tailback and punter in college, Dobbs was chosen by the Chicago Cardinals in the first round of the 1943 NFL draft, but went into the military instead. After starring in service football, he joined the Dodgers of the new AAFC in 1946, a club that utilized a single-wing attack. Brooklyn went only 3-10-1, but Dobbs led the circuit in passing yards (1886) as well as punting (47.8 avg.) and was named MVP by the league. In a major trade early in the 1947 season, Dobbs was dealt to the Los Angeles Dons. Playing quarterback in the T-formation, his performance suffered, but in ’48 a new head coach, Jimmy Phelan, created a new offense (the Phelan spread) in order to more fully utilize Dobbs’ talents. Injuries significantly diminished Dobbs’ performance in 1949, and with the demise of the AAFC following that season, he retired from pro football. After an absence of a year, in which he was a sportscaster in Tulsa, Dobbs joined the Saskatchewan Roughriders in Canada, playing three more seasons (and winning MVP honors in the Western league, the WIFU, in ’51) before further injuries set in, and serving as a player/coach. Overall, in the AAFC he passed for 5876 yards and 45 TDs, rushed for 1039 yards and 12 TDs, and had a 46.4 punting average. In Canada, Dobbs passed for 5196 yards and 51 TDs, rushed for 241 yards and 7 TDs, and had a 44.7 punting average. He returned to his alma mater, Tulsa, where he was athletic director and head football coach. A college star in baseball as well as football, where he was particularly noted for his pass receiving ability, Berry was named to Walter Camp’s 1924 All-American team. He signed a baseball contract with the Philadelphia Athletics after graduation and played in 10 major league games and, in the Fall, joined the Maroons. He was an effective receiver and also placekicked. Maroons went 10-2 to finish second in the NFL while leading the league in scoring (270 points), touchdowns (38), and rushing TDs (23). There was controversy as the league penalized the club for playing a prohibited game against a team of former Notre Dame players, thus forfeiting a chance for the league title. Berry played one more season of pro football, scoring three touchdowns, and was again a first-team All-NFL selection of Collyers Eye and the Green Bay Press-Gazette. After two years of minor league baseball, he returned to the major leagues in 1928 with the Boston Red Sox and became the club’s starting catcher for the next four seasons. He moved on to the White Sox in 1932 and later returned to the A’s, making his last two plate appearances in 1938 and becoming a coach under owner/manager Connie Mack after his retirement. In addition, he coached football at Grove City College and went on to become both a major league umpire for many years and a NFL official. 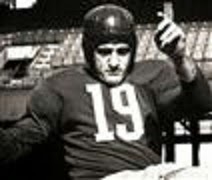 A pioneering Hispanic pro football player, Aguirre was chosen by the Redskins in the 11th round of the 1941 NFL draft. He caught 10 passes and kicked two field goals and eight extra points as a rookie. After missing the ’42 season, Aguirre came back to catch 37 passes, which ranked second in the league, for 420 yards (11.4 avg.) and 7 TDs in 1943. He received first-team All-NFL recognition from the New York Daily News. Redskins went 6-3-1 to finish third in the NFL Eastern Division while leading the league in passing yards (2021). Aguirre followed up in 1945 with fewer catches (16) but led the NFL in field goals (7). He received first-team All-NFL honors from the INS and Chicago Herald American and was a second-team selection of the New York Daily News. Aguirre jumped to the new All-America Football Conference in 1946, following Washington’s coach, Dudley DeGroot, to the Los Angeles Dons. He was a first-team All-AAFC choice of the New York Daily News and second-team pick by UPI in ’46 and had his most productive pass receiving season in 1948 with 38 catches for 599 yards (15.8 avg.) and 9 touchdowns. After being limited to four games and three catches in ’49, and with the demise of the AAFC, Aguirre moved on to Canada in 1950. He led the West (WIFU) in scoring with 57 points for Winnipeg and was named to the WIFU All-Star team. After a second season with the Blue Bombers in ’51, he moved on to Edmonton for 1952 and caught 38 passes for 549 yards (14.4 avg.) with five TDs and was a second-team All-WIFU selection. 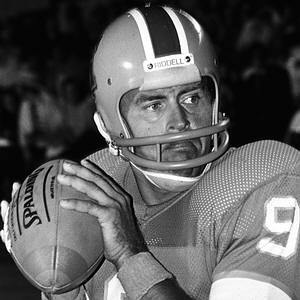 Spending his last three seasons with Saskatchewan from 1953 to ’55, he became used more as a placekicker and kicked 19 field goals and 25 extra points while leading the WIFU with 85 points. Overall, in the NFL, Aguirre caught 97 passes for 1122 yards (11.6 avg.) and 13 TDs, kicked 13 field goals and 53 PATs, and scored 169 points. In the AAFC, he caught 63 passes for 1040 yards (16.5 avg.) and 16 TDs, kicked four field goals and 33 PATs, and scored 141 points. In Canada, he had 62 catches for 928 yards (15.0 avg.) and 7 TDs, kicked 40 field goals and 119 PATs, and scored 296 points. He received at least some all-league recognition in the NFL, AAFC, and WIFU. On January 18, 1973 the St. Louis Cardinals of the NFL dipped into the college ranks to hire Don Coryell as the new head coach. The 48-year-old Coryell of San Diego State replaced Bob Hollway, who was fired directly following a second straight 4-9-1 record in 1972 with one year remaining on his three-year contract. The Cardinals had not reached the postseason since 1948, although they were contenders several times under Wally Lemm and Charley Winner during the 1960s. Coryell’s record at San Diego State was 104-19-2 over twelve seasons, including 10-1 in 1972. 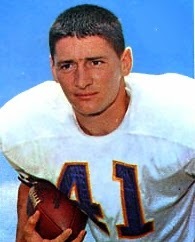 Prior to that, the former college defensive back spent one year as coach at Wenatchee Junior College in Washington in 1955 and then coached a service team at Fort Ord in California that went undefeated in ’56. Moving on to Whittier College, his teams had a 23-5-1 record and won three conference championships. Prior to his arrival in 1961, the Aztecs had gone through lean years and hit rock bottom with back-to-back 1-6-1 records in the two seasons immediately preceding. 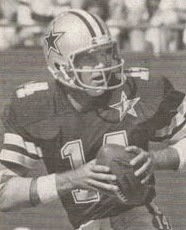 Coryell recruited junior college players and his teams were known for their pass-oriented offense. He had success with future pro quarterbacks Don Horn, Dennis Shaw, and Brian Sipe, and notable wide receivers included Gary Garrison, Isaac Curtis, and Haven Moses. John Madden and Joe Gibbs were assistant coaches, and Gibbs rejoined Coryell in St. Louis along with two of his current assistants, Rod Dowhower and Jim Hanifan, who all went on to head coaching jobs in the NFL. Asked about his decision to move to a pro team, Coryell explained that “I was as far as I could go in the situation I was in.” He had a written a letter to owner Bill Bidwill expressing his interest in the job. 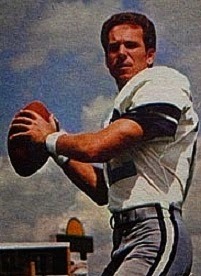 The quarterback Coryell inherited was Jim Hart (pictured at left), a 29-year-old veteran who had been unheralded coming out of Southern Illinois in 1966, showed great promise when forced into the starting job in ’67, but had endured challenges from Pete Beathard, Gary Cuozzo, and Tim Van Galder in recent years. 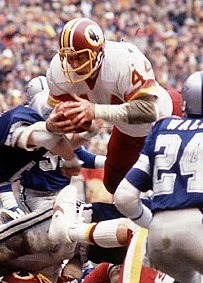 A classic drop-back passer who was at his best throwing long, Hart prospered in Coryell’s offense. TE Jackie Smith was a talented veteran receiver and WR Mel Gray was up-and-coming. 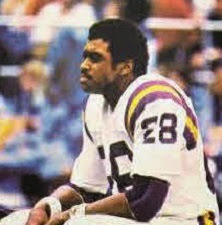 HB Donny Anderson was still effective at age 30, but was joined by speedy rookie Terry Metcalf out of Long Beach State. There were also good young linemen in OT Dan Dierdorf, G Conrad Dobler, and C Tom Banks, in addition to savvy veteran OT Ernie McMillan. The defense included a good group of linebackers in Larry Stallings, Pete Barnes, and Mark Arneson. CB Roger Wehrli was the best of the defensive backs and DT Dave Butz was a promising rookie. 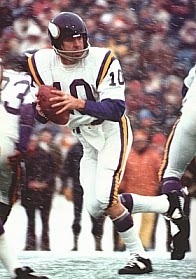 To top things off, Jim Bakken was an accomplished placekicker who had been with the club since 1962. The Cardinals duplicated their 4-9-1 record in 1973. 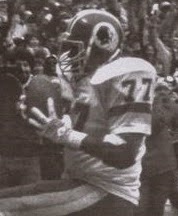 Hart performed capably but played with injuries during the second half of the season and missed two games altogether (rookie Gary Keithley, also the punter, filled in). Moreover, the team ranked 12th in the league in offensive production but 26th in defense. St. Louis broke out with a 10-4 record in 1974, making it into the postseason for the first time in 26 years. Hart had a Pro Bowl year as he threw for 2411 yards and led the NFC in touchdown passes (20) and completions (200), while giving up just eight interceptions. He was sacked only 16 times, a tribute to the improvement on the offensive line. Metcalf also gained Pro Bowl recognition for his outstanding all-around performance, gaining a total of 2058 yards (718 on 152 rushing attempts, 377 on 50 catches, 623 on 20 kickoff returns and 340 on 26 punt returns). 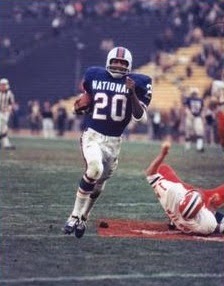 FB Jim Otis provided inside power and Mel Gray also reached the Pro Bowl. The dependable Jackie Smith had a new backup and heir apparent in rookie J.V. Cain. The defense, under the direction of coordinator Ray Willsey, was significantly better, allowing 147 fewer points and almost a thousand less yards than in ’73. Wehrli was chosen to the Pro Bowl and CB Norm Thompson intercepted six passes, while DT Bob Rowe was outstanding on the line that lost Butz for the year in the season’s opening week. After getting off to a 7-0 start, the Cards had a rougher time during the second half of the season but still topped the NFC East. They lost to Minnesota in the Divisional playoff round. The Cardinals repeated as division champs in 1975 with an 11-3 record. The offense was even more productive. Hart threw more interceptions (19) but also 19 touchdowns and 2507 yards and again was chosen to the Pro Bowl. Metcalf outdid himself by setting a NFL record with 2462 all-purpose yards, scoring 13 touchdowns with at least one apiece via rushing, pass receiving, returning a punt, and returning a kickoff, and Otis led the NFC in rushing with 1076 yards. Both joined Hart as Pro Bowl choices, and so did Dan Dierdorf and Conrad Dobler on the line that allowed just eight sacks. Gray was a consensus first-team All-NFL selection as well (48 catches, 926 yards, 11 TDs). On defense, the pass rush was still unexceptional, but Wehrli and Thompson intercepted 13 passes between them, and the former was also a consensus first-team All-Pro. 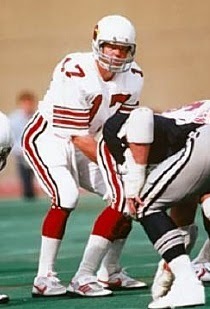 But once more the Cards couldn’t win in the postseason, losing to the Rams. The record in 1976 was still strong at 10-4, although in the highly-competitive NFC East that was only good for third place (thanks to being swept by the Redskins, who managed the same record) and the Cards missed the playoffs. Hart had a third straight Pro Bowl year, tossing 18 touchdown passes while his yardage increased (2946) and his interceptions dropped (13). Metcalf and Otis had lesser, if still good, seasons. WR Ike Harris emerged with 52 catches for 782 yards across from Gray, still a dangerous deep threat and Pro Bowler. 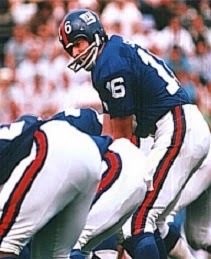 Bakken was a consensus first-team All-NFL selection for the second straight year with perhaps his greatest season in his 15th year, connecting on 20 of 27 field goal attempts, several of which were pivotal in victories. But the pass rush continued to be disappointing and injuries were a problem at middle linebacker. The Cards dropped down to 7-7 in 1977. Hart, Metcalf, Gray, Dierdorf, Dobler, Banks, and Wehrli were still Pro Bowl performers, but after breaking out to a 7-3 start, the club lost its last four games. Friction developed with the front office, where Bidwill insisted on cutting costs and salary disputes with several veterans affected team morale. Coryell also chafed at not having a voice in personnel decisions, the team had not drafted well, and he became increasingly outspoken about the situation. Coryell resigned as head coach following the season, having compiled a 42-27-1 record that included two division titles. In just five years, he had become the winningest coach in the team’s long history (he was eventually surpassed by Ken Whisenhunt). At a time when zone defenses ruled and teams tended toward ground-oriented offenses, Coryell proved that an aggressive passing offense could still be successful. 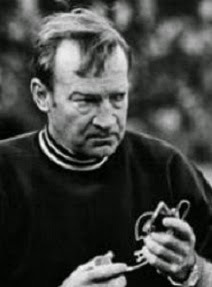 Coryell did not remain out of work long, returning to San Diego as head coach of the Chargers during the 1978 season and remaining there until 1986, enjoying even more success (if still never achieving a championship). With outstanding personnel and rules changes that went into effect in ’78 to benefit the passing game, Coryell was able to further innovate and develop an even more explosive offensive attack. Bidwill and the Cardinals again went with a successful college coach to replace Coryell, although in this instance it was 62-year-old Bud Wilkinson, who had last manned the sidelines at Oklahoma 15 years earlier before moving to the broadcast booth. With the loss of key personnel, including Metcalf, who jumped to the CFL, and Harris and Dobler, dealt to New Orleans, the result was a drop to 6-10 in ’78. It was the first of four straight losing seasons until the team went 5-4 in the strike-shortened 1982 season under Jim Hanifan, the former Coryell assistant.